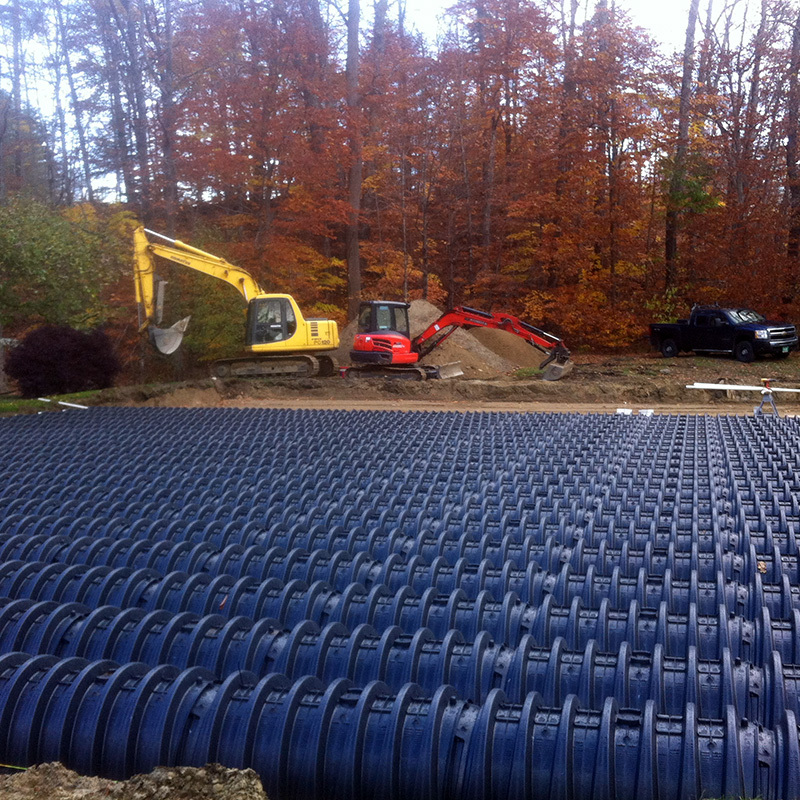 Replacement Septic System Installation Project Location: Ludlow, Vermont Type of Work: Septic System Year: 2014 Project Summary Assisting Tom Ellis Builders with a large commercial septic replacement in Ludlow, VT in the Fall of 2014. 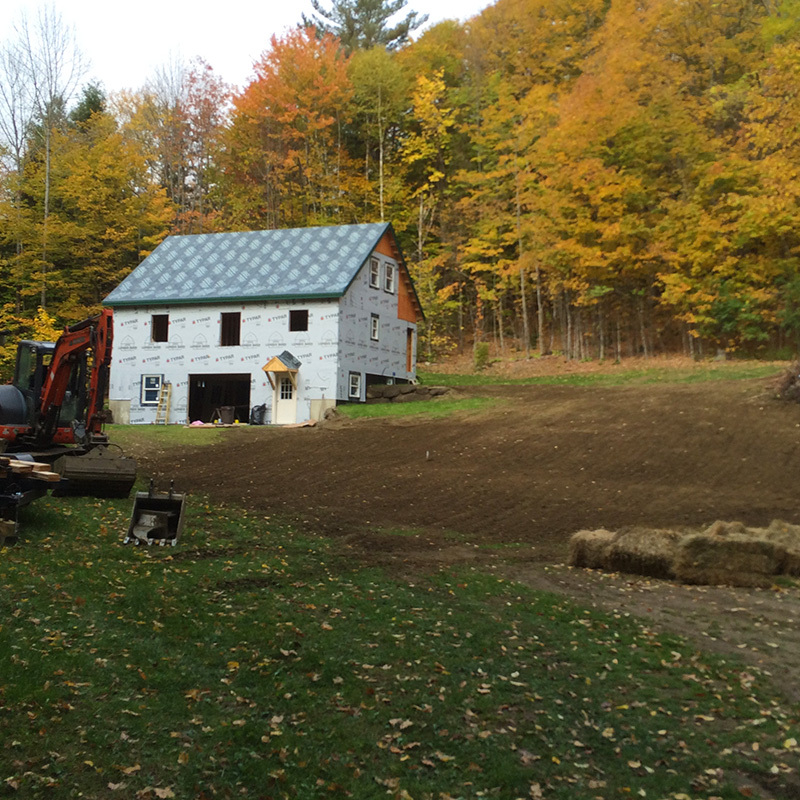 Installation of a New Residential Septic System Project Location: Pomfret, Vermont Type of Work: Septic System Year: 2016 Project Summary Installing a replacement septic system for a 4-bedroom home in Pomfret. 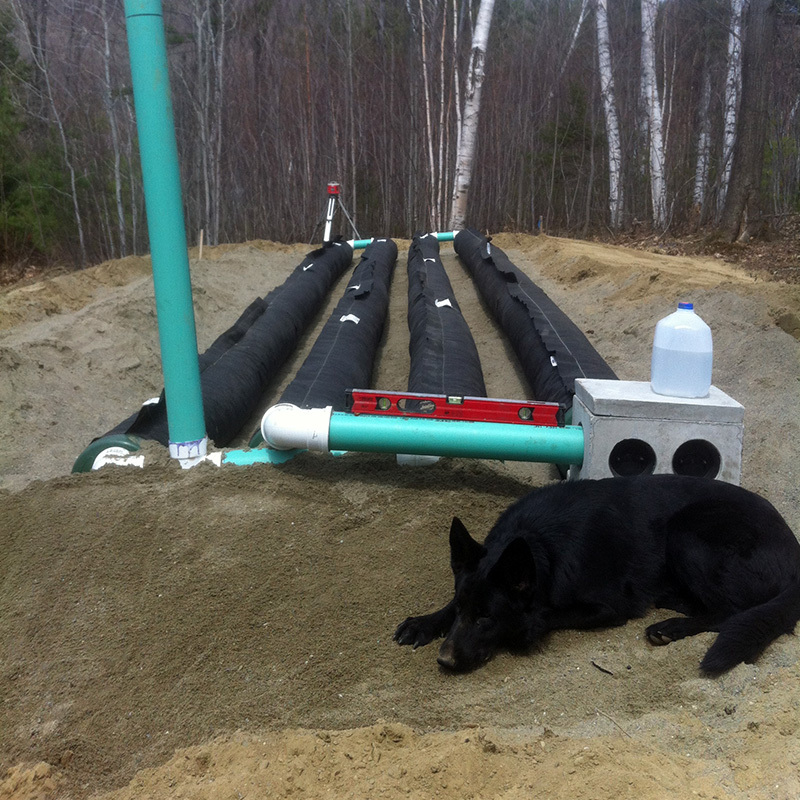 This project consisted of installing a new 1000-gallon pump chamber and a sand mound leachfield. 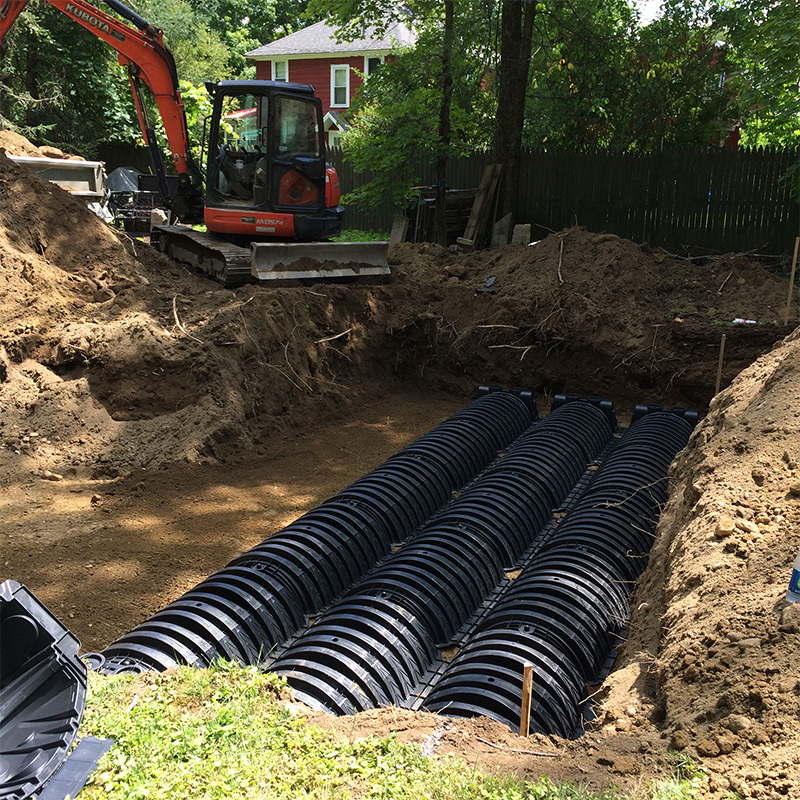 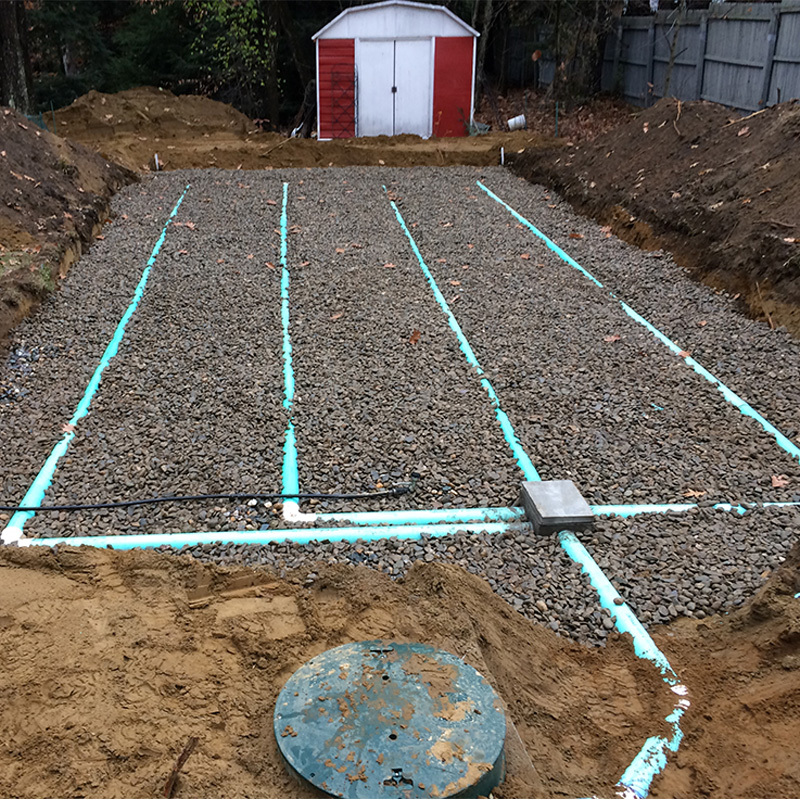 New Residential Septic System Installation Project Location: Charlestown, NH Type of Work: Septic System Year: 2016 Project Summary Installing a replacement septic system in Charlestown, NH. 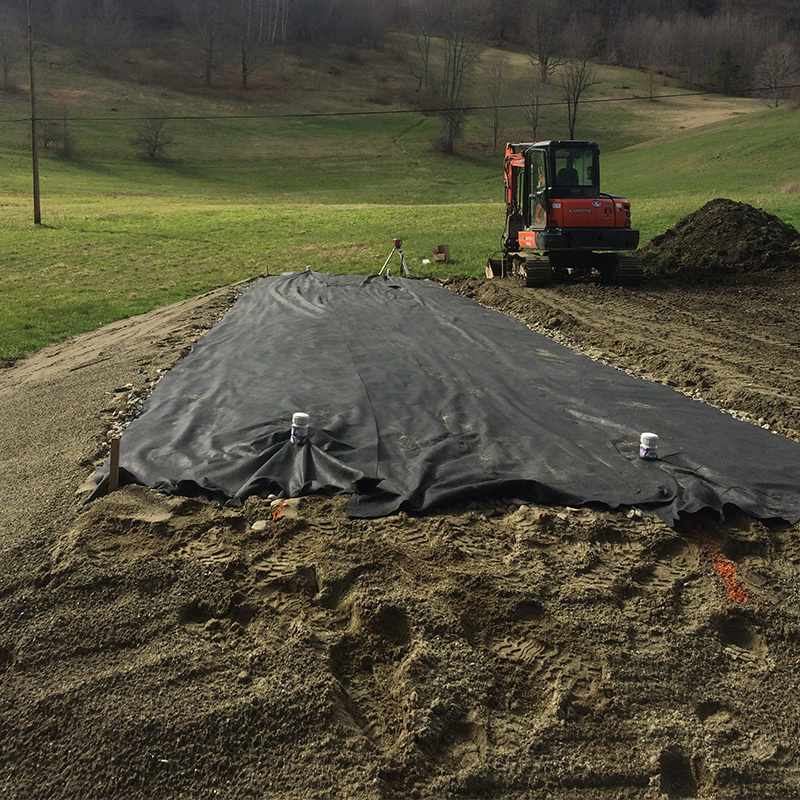 Replacing Failed Septic System for a Home Project Location: Weathersfield, Vermont Type of Work: Septic System Year: 2016 Project Summary Replacing a failed septic with a new Infiltrator system in Weathersfield, VT.